I recently traveled to Asheville to interview a family who had purchased a home through a Next Step member and I was reminded of how much I love the Appalachian Mountains. I might even admit that the Blue Ridge Mountains are more glorious than my beloved Kentucky foothills. Storytelling is rich in this region. It’s how we pass important information from one generation to the next. Before I founded Next Step in 2010, Asheville housing leaders asked me to consultant on mobile home replacement needs in the region. Fast forward a few years when I met Geoffrey Barton, a young and inspired Rose Fellow who shared the same vision for this area. Geoffrey, a native Kentuckian, was looking at mobile home replacement needs in this area. 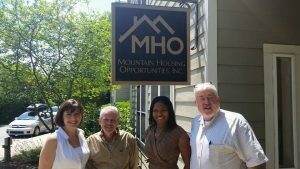 He convinced his leadership and team at Mountain Housing Opportunities (MHO) to join Next Step, and ever since they have been doing powerful work to deliver high-quality factory-built homes to prepared and supported homebuyers. MHO is deciding if factory-built housing is the best strategy to meet the challenges of increasing volume while keeping homes affordable. They have learned that factory building is faster and that modular housing is marginally less expensive. Saving time and money is important in high costs areas like Asheville, where housing affordability is under pressure. A 1,300 square foot “affordable” home can appraise for $200,000. MHO has a long history of providing home repairs, averaging about 100 a year where 50-60% of the homes are manufactured. MHO CEO, Scott Dedman, and I have talked about how poverty contributes to the challenges for mobile home replacement. It’s not just the old home, but the lack of resources to properly maintain the home over time. Mobile homes were built prior to 1976 when the HUD Code went into effect. These homes consume twice the energy of site-built homes and are often in substandard conditions. This summer, Next Step, Fahe and CFED will release a Central Appalachia Housing Mobile Home Study documenting these needs. Moving families into better homes is our mission. 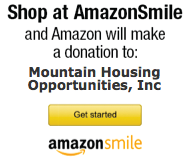 MHO makes it possible and we want to share their good work. 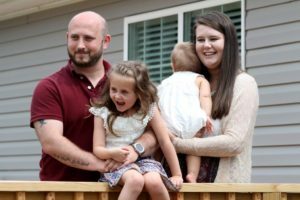 When I visited Asheville, I was able to interview the Woody Family, who told a powerful story of overcoming challenges of living in poor conditions and spending a year in credit repair was worth it. We loved meeting this young family. Their energy and dedication should make us all pause to realize that we are willing to do anything to make life better for our kids. Their story teaches us that sacrifice is needed to pass on knowledge and open the door to better opportunities. Stay tuned as we plan to release the Woody Family story this summer. Their story will be one of many as we undertake a national storytelling campaign to represent the 22 million Americans living in factory-built homes. Through the campaign, we will tell positive stories of factory-built home owners and show how we can help more families achieve homeownership, financial security and the American Dream. 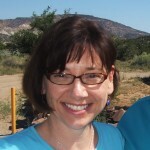 This article was reprinted with permission from Next Step Network, Inc. All Rights Reserved.